Description: Brilliant straw yellow with a green shimmer. Quite pronounced and expressive aroma with flowery and somewhat spicy notes. Rich flavored in the mouth, with a slight smokiness at the back and a good, fresh finish. Suggested Food: Starters (both fish or meat), pâtès and terrines, fish and shellfish, poultry, white meat and mushrooms. "Jeannie Cho Lee" has rated the wine "Alois Lageder Pinot Grigio Sudtirol - Alto Adige, Trentino-Alto Adige, Italy" from the vintage 2011 on 25.11.2012 with 86 of 100 points.
" Vibrant, refreshing herbal notes with hints of dill and almonds. Lovely Pinot Grigio with good finish. Tasted in: Hong Kong, China. Maturity: Drink. " "Vinum Wine Magazine" has rated the wine "Alois Lageder Pinot Grigio Sudtirol - Alto Adige, Trentino-Alto Adige, Italy" from the vintage 2012 on 01.02.2014 with 15 of 20 points. "Falstaff Magazin" has rated the wine "Alois Lageder Pinot Grigio Sudtirol - Alto Adige, Trentino-Alto Adige, Italy" from the vintage 2011 on 30.05.2012 with 88 of 100 points. "Vinous Antonio Galloni" has rated the wine "Alois Lageder Pinot Grigio Sudtirol - Alto Adige, Trentino-Alto Adige, Italy" from the vintage 2009 on 01.08.2010 with 88 of 100 points. "Wine Spectator" has rated the wine "Alois Lageder Pinot Grigio Sudtirol - Alto Adige, Trentino-Alto Adige, Italy" from the vintage 2004 on 15.06.2005 with 89 of 100 points. "Wine Spectator" has rated the wine "Alois Lageder Pinot Grigio Sudtirol - Alto Adige, Trentino-Alto Adige, Italy" from the vintage 2003 on 28.02.2005 with 88 of 100 points. "Wine & Spirits Magazine" has rated the wine "Alois Lageder Pinot Grigio Sudtirol - Alto Adige, Trentino-Alto Adige, Italy" from the vintage 2002 on 01.04.2004 with 91 of 100 points. "Wine Spectator" has rated the wine "Alois Lageder Pinot Grigio Sudtirol - Alto Adige, Trentino-Alto Adige, Italy" from the vintage 1998 on 15.06.2000 with 79 of 100 points. "Wine Enthusiast" has rated the wine "Alois Lageder Pinot Grigio Sudtirol - Alto Adige, Trentino-Alto Adige, Italy" from the vintage 1998 on 04.01.2000 with 87 of 100 points. "Wine Spectator" has rated the wine "Alois Lageder Pinot Grigio Sudtirol - Alto Adige, Trentino-Alto Adige, Italy" from the vintage 1994 on 15.06.1996 with 83 of 100 points. "Wine Spectator" has rated the wine "Alois Lageder Pinot Grigio Sudtirol - Alto Adige, Trentino-Alto Adige, Italy" from the vintage 1993 on 31.01.1995 with 82 of 100 points. "Wine Enthusiast" has rated the wine "Alois Lageder Pinot Grigio Sudtirol - Alto Adige, Trentino-Alto Adige, Italy" from the vintage 1999 with 90 of 100 points. "CellarTracker" has rated the wine "Alois Lageder Pinot Grigio Sudtirol - Alto Adige, Trentino-Alto Adige, Italy" from the vintage 2013 with 88 of 100 points. "CellarTracker" has rated the wine "Alois Lageder Pinot Grigio Sudtirol - Alto Adige, Trentino-Alto Adige, Italy" from the vintage 2011 with 88 of 100 points. 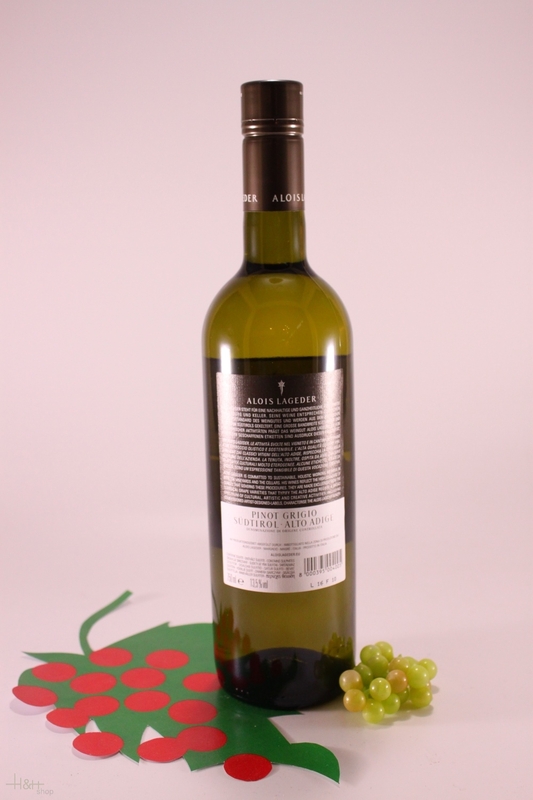 "CellarTracker" has rated the wine "Alois Lageder Pinot Grigio Sudtirol - Alto Adige, Trentino-Alto Adige, Italy" from the vintage 2008 with 87 of 100 points. 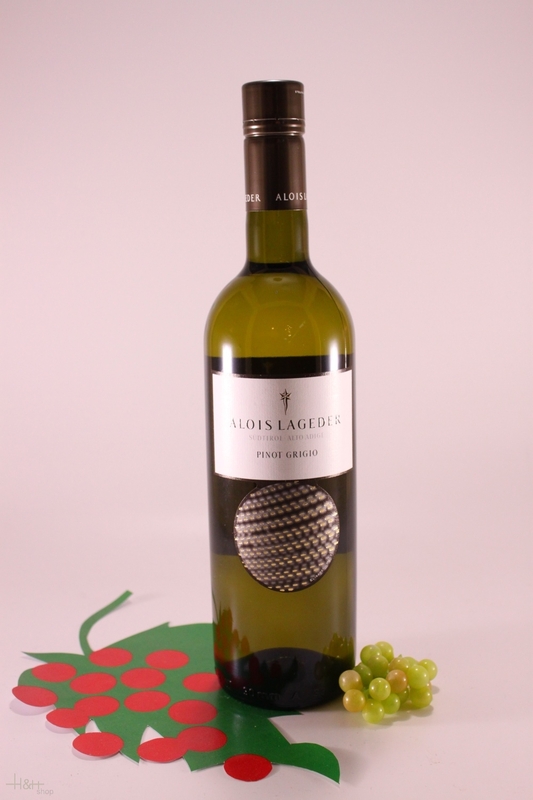 "Stephen Tanzer" has rated the wine "Alois Lageder Pinot Grigio Sudtirol - Alto Adige, Trentino-Alto Adige, Italy" from the vintage 2002 with 87 of 100 points. "CellarTracker" has rated the wine "Alois Lageder Pinot Grigio Sudtirol - Alto Adige, Trentino-Alto Adige, Italy" from the vintage 2009 with 86 of 100 points. "CellarTracker" has rated the wine "Alois Lageder Pinot Grigio Sudtirol - Alto Adige, Trentino-Alto Adige, Italy" from the vintage 2007 with 86 of 100 points. "CellarTracker" has rated the wine "Alois Lageder Pinot Grigio Sudtirol - Alto Adige, Trentino-Alto Adige, Italy" from the vintage 2006 with 85 of 100 points. not a pleasing pinot grigio. it lacked fruitiness. not a pleasing pinot grigio. it lacked fruitiness. ..